Alouette sings your praises, helping you tell your story. Through classic print brochures, e-newsletters, videos, website development, events and business consulting, we help you communicate in a culturally sensitive way, to build brand awareness and achieve your goals. Alouette works with a broad range of industries, including associations and non-for-profits, art, architecture and design, education and training, energy, health and beauty, finance, hospitality, food and wine, and real estate, among others. Most are smaller to mid-size organizations where we can make a big impact while working within reasonable budgets. 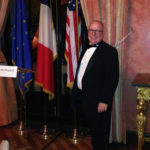 John F. Bennett, principal and president, is also the president of the Paris-AmericanClub and a member of the French-American Chamber of Commerce, the Nonprofit Coordinating Committee of New York, the Society of the Friendly Sons of St. Patrick, and the Chefs de Cuisine Association of America. The first step is to sit down together to determine your needs and goals. How have you been communicating in the past? What do you like about your current look; what would you like to change? Or perhaps it’s a new venture and we’re starting with a clean slate. Once the project is defined, we create the editorial content or textual foundation. Together, we develop an outline of the topics to be covered, determine their source material (existing data, archives, new product specs, press releases, photos, videos, etc.) and choose potential members, participants, customers and/or employees to be interviewed, either over the phone, in person, with or without a photo or video shoot. We then select journalists, experienced in your field, who conduct further research on industry trends, culling relevant statistics, media or press mentions, and then conduct interviews and prepare the first draft. Part one of the three-part review process is for you to comment on the draft, make suggestions and give approval to go to the next step. Alouette’s savoir-faire consists in “setting the stage” for presenting information. Imagery is selected to convey content’s meaning, with emphasis on its ease-of-assimilation by a targeted audience. Alouette applies the journalists’ rules of presenting information, which assures an easier and more effective read and in the case of a website or on-line piece, maximum functionality and ease of transition from one section to another. A hierarchy of relevant information and mastery of layout design increase the effectiveness of the message and engage the reader. The goal in the construction of the overall graphic template is to create an ergonomics adapted to the content, that is, according to the ampler of the text, the quality and relevance of the illustrations or video, and obviously, the message that one’s trying to convey. Title, headline, caption… Every means is used to provide opportunities to interest the reader in the content. This part of the editing process is critical for setting the right overall tone. The spacing, follow-ups, rhythm, page sequencing, pull quotes, captions invite additional readings. Airy, attentive and linear… our role is to captivate your readers’ attention, regardless of their mood. The aesthetics are important, but most importantly, the visual message must be adapted to the textual foundation and to the reader. What color? What style? What ambiance? And above all, why? Alouette will guide you in answering these questions and translate visually and artistically your editorial position building on your established branding, look and feel. After twenty-eight years in spoken communications as Managing Director for Berlitz Languages, Inc. (language and cultural training, serving global corporations) in charge of North America, with emphasis on sales and marketing, John entered the world of promotional communications, opening MAYA Press USA in 2006, which became Alouette Communications in 2012. John motivates a team of writers, editors, photographers, videographers, layout and website designers, and printers, who cover diverse and varied subjects such as education, hospitality, architecture and design, health and beauty, fashion, and international business. A graduate of Georgetown University, John’s understanding of French language andculture, combined with his experience conducting international business, brings a solid foundation to Alouette’s team. He also studied the history of graphic design at Parsons the New School for Design. 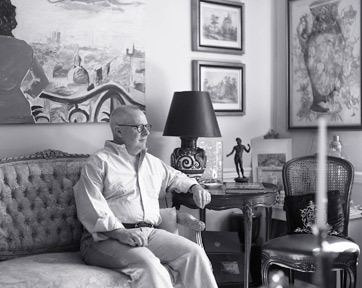 John speaks some Spanish and Italian as well, and loves to cook and entertain an eclectic group of friends at Château Village, his apartment in Greenwich Village.